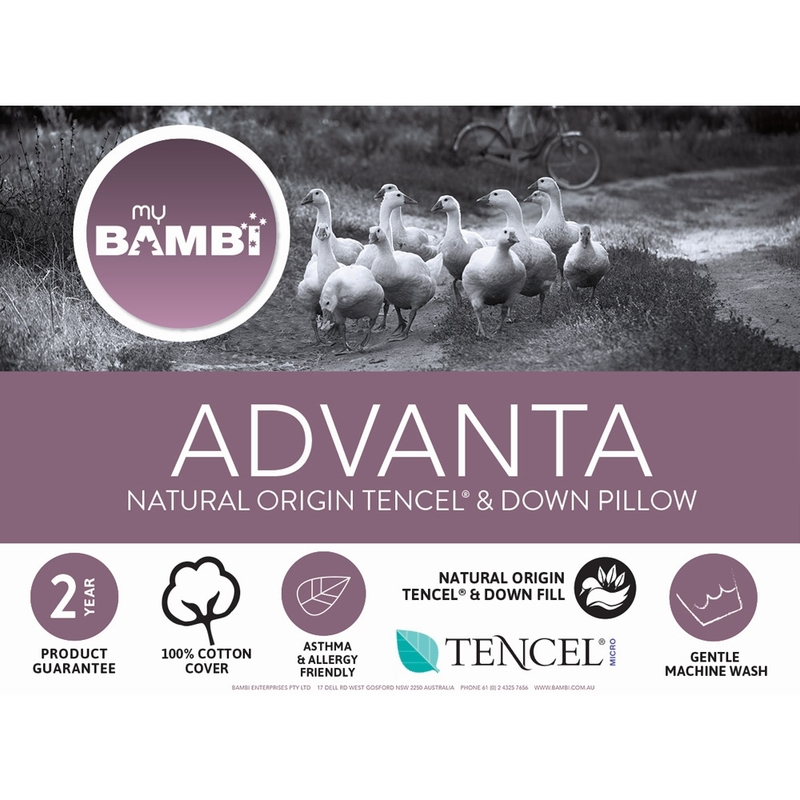 The Bambi Advanta Tencel and Goose Down Pillow has a fill of 30% Tencel % 70% Down which offers a plump and plush feel. The Down fill provides softness while the Tencel gives breathability to help release excess heat to keep you comfortably warm at night. The fabric used on the outer layer of this product is 100% cotton with a luxurious feel and superb high qualty finish to it. This product that has undergone a special treatment, making it the ideal choice for sufferers of allergies and asthma.